Similar to Google Alerts I covered in an earlier post, Google Scholar also has an "alert" feature that allows users to keep updated about the topics, news, and authors that interest them. Google scholar Alert is particularly useful for student researchers who are doing research around a topic area and want to have access to the latest and recent output about it. Creating an alert on Google Scholar will enable you to receive emails with updates and new releases about your alert. For instance, let's say your research topic is game-based learning and that one of the established authors you want to make sure to read his newest updates in this area is James Paul Gee. You can go ahead and create two alerts using the following key phrases : game-based learning, and James Paul Gee. From the time you create these alerts, anything published on Google Scholar with these two phrases in it will come directly to your inbox. 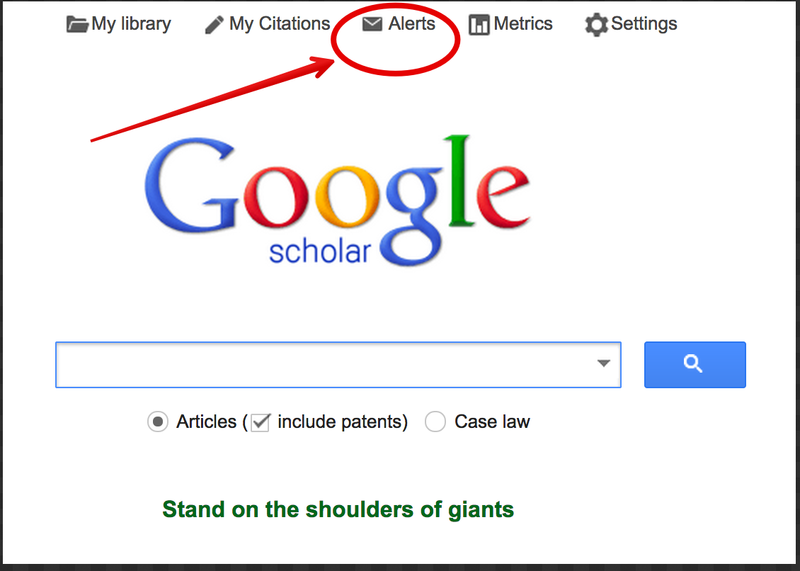 Here is how to create a Google Scholar Alert. 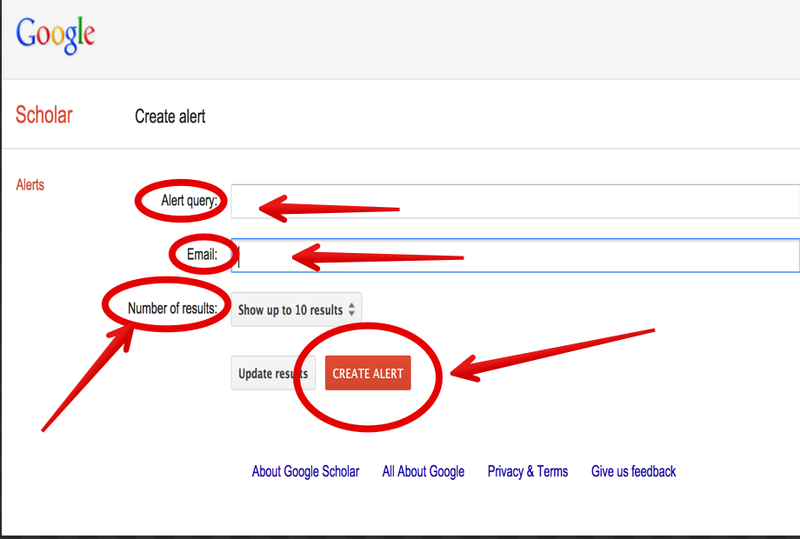 1- Head over to Google Scholar and Click on "Alerts"
2- Type in your alert query, your email, and the number of results you want to show up then hit "Create Alert". Your alert now is created and active.